Great British attack in Palestine; General Allenby strikes on a 16-mile front between Rafat and the sea; his infantry advances 12 miles to the railway junction at Tul Keram, while cavalry advance east on Shechem and north-east on El Aluleh and Beisan; 8,000 prisoners. Further Serbian advance to within eight miles of the Vardar and along the Tcherna on the left. British gain ground north of Gauche Wood; over 10,000 prisoners to date. Mœuvres retaken. 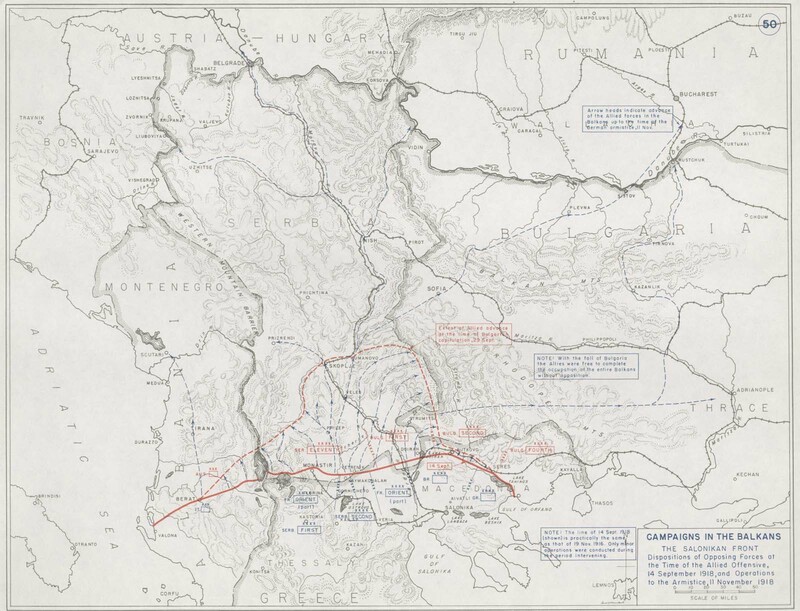 Franco-Serbian advance in Macedonia on a 22 miles front reaches the Tcherna, attaining a depth in some places of 12½ miles.